It is now clear that Tony Blair, who as prime minister once promised a referendum on the Lisbon Treaty, is working to reverse Brexit. Blair has many great qualities and was arguably Labour’s most successful leader, having won three general election victories. It is therefore regrettable that such an internationally respected figure should now be advocating overturning the result of the democratic EU referendum held in 2016. The referendum was held because the British people needed to make a decision on our membership. Successive governments of all colours, including the governments led by Tony Blair, handed powers over to Brussels without the consent and support of the British people. Antagonism about our membership simmered for years as people felt they had lost control of their borders, their laws and their destiny. The irony of Blair’s position is that had he honoured his 2005 pledge to hold a referendum on the Lisbon Treaty, the country would have likely voted for it by a majority and we would still be committed today to staying in the European Union. Seventy percent of Labour-held constituencies voted to leave the EU. Some of the areas with the highest turnout for leave were in Labour strongholds of the north east, south Wales and the midlands. Around 40 per cent of the Labour vote supported Brexit and, in the 2017 general election, Labour’s pro-Brexit manifesto achieved the highest level of support in over a decade and deprived the Tories of a majority in the House of Commons. It is therefore very disturbing to see a former Labour leader adopting such an anti-democratic and constitutionally dangerous position, which could be severely damaging to the Labour Party under Jeremy Corbyn’s leadership. But what is more concerning is that a former prime minister is pushing forward an idea that would have devastating consequences for trust in politics. Article 50 has now been invoked and the government is undertaking what are the most difficult negotiations Britain has faced since the end of the second world war. Labour’s evolving position on Brexit is one that is generally in-line with the government’s, namely that Britain will be leaving the EU’s single market and customs union. That was the policy set forward in the election and one that has been made by many senior party figures. Labour now needs to unite around this policy and to work with the government to negotiate the best possible deal for the country, a deal that secures lasting friendship and trade with our European partners. This does not mean we should give the government a free hand. Indeed, Labour should be highly critical of the government for failing to guarantee that trade would be negotiated in parallel with divorce settlement terms. Labour should be doing all it can to reduce the Tory Brexit bill of £50bn and instead argue that those monies should be invested in our national infrastructure and struggling public services. It is not the job of a sensible opposition working in the national interest to seek to undermine what is a national effort to secure a good deal for this country. In this respect, allowing itself to be distracted by impractical proposals for a second referendum and the like. Tony Blair has been arguing that a primary reason for holding a second referendum is that the money saved from our membership fee has not gone to the NHS. This is because we have not left yet, so the money we will save cannot yet be invested into our public services. Of course Labour should press for this money to go into the NHS. Blair’s record guarantees that he is a figure that should be listened to. The British people elected him three times with thumping majorities for Labour. However, on this issue, Blair is severely at odds with party policy and in a small minority. Labour has, thus far, rejected calls for a second referendum or an attempt to overturn the decision of the British people to leave and it should continue to do so. 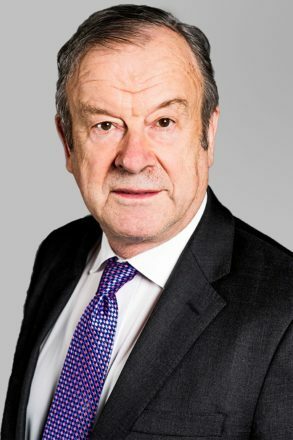 John Mills is the founder of consumer goods giant JML and has been a Labour Party activist for several decades. He has also been a major party donor and chairs the pro-Brexit organisation Labour Leave, as well as Labour Future.